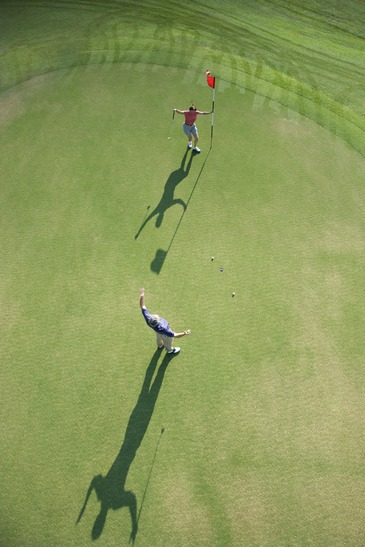 What Would Be Your Perfect Golf Outing? It’s Likely Not The Same For Anyone, With Different Ideas In Mind. A lot of golfers consider the ideal trip to be going to a nationally renowned golf course and playing on it, knowing that famous golfers had played there. Many avid golfers would give anything for that chance. These are the courses where the legends have played and won major tournaments - players like Arnold Palmer and Tiger Woods. For some golfers, though, the perfect golf outing has more to do with ideal weather than with location. Some golfers would rather play on a day with cool temperatures and a gentle breeze, while others prefer to play in more tropical conditions or even freezing weather. Some golfers will actually try to play when the temperature are very high, or very low, just to see how well the extreme conditions affect their game. There are even golfers who are willing and eager to play in the snow and at night. There are specially designed golf balls for these purposes. The night players can easily see their golf balls all over the course, because they glow in the dark. Snowbound golfers have the ability to use fluorescent golf balls. These brightly coloured balls are easier to see against the white snow on the golf course. Golfing in Extreme Conditions Is Challenging. No matter how you like it, golfing in extreme conditions is challenging, and not for every golfer. For golfers who are willing to play in hot temperatures, they have to remember to stay hydrated with a lot of water, and avoid alcohol. For golfers who like to play in the frigid temperatures, they should bring a warm drink in a thermos to help keep their body temperature steady, even if walking the course. It is not unusual for these golfers to consider these conditions to be perfect golf outings. .. but not taking it too seriously ..
For most golfers, the perfect day of golf is hitting their favourite course with some good friends and hit golf balls, enjoying themselves and not taking it too seriously. This type of golfer is the majority, and these players are usually found playing in couples and foursomes. They will tease each other about bad shots, and compliment each other on good shots. The final score usually doesn’t matter (unless they are serious about golfing), because they are hitting for fun and stress relief. There are even golfers who favour playing by themselves. The solo golfer usually walks the course, learning the feel of every tee box, fairway and green on his or her own feet. Whether you’re looking to travel to new courses around the world, to take on extreme golfing challenges, playing to improve your golf game, or just enjoy the satisfaction of a day of golf with friends, it’s up to you to decide what your perfect golf outing is. All you need to do after that is to go out and play golf!